We are affianced in offering a wide array of Heat Exchangers to the respected clients. These are used to exchange heat between two mediums and available in various sizes, models as per the client's requirements. Our professionals make use of high grade raw material and technologically advanced machinery for manufacturing the entire range. Clients can avail these from us at cost effective prices in the market. We manufacture a diverse range of Shell and Tube Heat Exchangers that is manufactured using high quality raw material under the guidance of experts.Our ranges of heat exchanges are well suited for large domestic water heating applications using either boiler water or steam as the heating medium. These are tested on various conditions before getting into the market. Our offered ranges of products are available at reasonable prices in the market. We are instrumental in manufacturing, exporting, and supplying of Industrial Radiator. Made with the help of the finest raw materials, the Industrial Radiator provided by us are finds application in various industries for exchanging heat between two mediums (Hot and Cold). 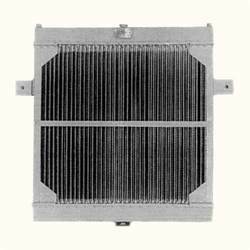 Ideally these Industrial Radiator are used exchange compressed air to water, Freon to water, hydraulic oils to water, air to steam, water to steam, air to air and so on. Also, we offer these quality-tested Industrial Radiator in shell, tube and plate types which are fabricated as per national and international quality standards. 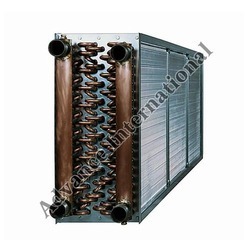 We are the prominent manufacturer and supplier of a wide range of Heliflow Heat Exchanger Coil Type to our clients. Our ranges of these are made using superior quality materials that are procured from reputed and certified vendors of the industry. We offer these in various specifications and can be properly customized as per the specifications provided by the clients. It is extensively designed to slightly compress the tubes. After Coolers are required in various industries. These are used to exchange heat between two mediums (Hot and Cold) e.g. compressed air to water, freon to water , hydraulic oils to water, air to steam, water to steam, air to air etc. After Coolers are also used in plastic/ bakelite moulding machines, compressed air systems for diesel generating sets, refrigeration & air conditioning , hydraulic & other oils, water chilling, sugar industries etc. these systems are supplied by Advance International fabricated as per various international and Indian standards. They are suitable for closed circuit cooling or electrical equipment using demineralised water and for cooling water soluble oil solutions in quenching tanks.The shell side usually contains the process fluid and the tube side water from the town mains or a cooling tower, or an ethylene glycol solution from a chiller unit. In certain circumstances this flow arrangement can be reversed , but please consult us first.Benefits:-The U-tube construction allows for large temperature differences between the tube-side and shell-side fluids with the U-tubes expanding or contracting independently of the shell assembly. This type of heat exchanger is well suited for large domestic water heating applications using either boiler water or steam as the heating medium. We take pride ourselves in offering a superior range of Heat Exchangers which is manufactured using best grade raw materials that are sourced from reliable vendors that ensure desirable durability, resistance against corrosion and high performance. Our ranges of these products can be customized as per the specifications provided by our clients. Produce heat transfer rates up to 300,000 btu/hr. 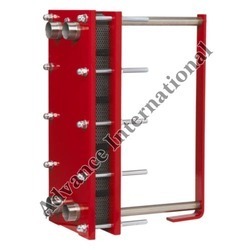 We are most prominent manufacturer and exporter of Plate Type Heat Exchangers to our esteemed clients. 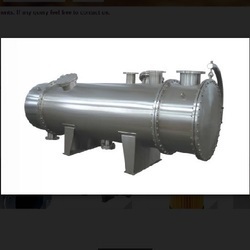 Plate type heat exchangers are available in various types’ Water jacket type, Fins Type and U Tube Type. Heat Exchangers are suited for aviation and aerospace applications including engine cooling. These are procured from reliable vendors in the market and advanced technology. These are available at competitive prices in the market. Heat Exchangers are suited for aviation and aerospace applications including engine cooling. In automotive or industrial truck. For heating and cooling water for domestic purpose ( e.g. swimming pools, snow melting, boilers). Designed to cool electronic components that generate high amount of heat ( CPUs, Lasers, Transformers). In food, Dairy and Brewing industries. For heating, ventilation and air conditioning ( HVAC) applications. For Heating and cooling of hydraulic power fluid. For Oil heating and cooling applications. Suited for marine or shipboard applications. 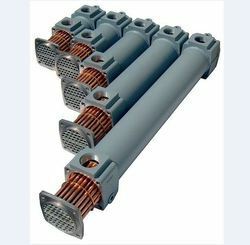 Suited for power generation applications. For compressed air and are designed for use in pneumatic systems. For use with refrigerants in cooling systems. Suited for applicants that involve the transfer of heat to and from steam. Other unlisted or specialized applications. We have gained vast expertise in offering U Tube Heat Exchanger with a wide range to our clients, which can be obtained from us at market leading prices. These are fabricated using an extensive quality material and used for transfer of heat from one system to another. These are widely used in Food processing, Electrical and Chemical industries. 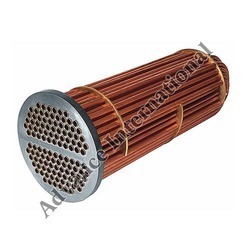 U Tube Heat Exchange is available at affordable prices in the market. 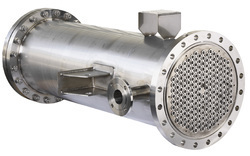 We present an exclusive range of Finned Tube Heat Exchangers to our clients. These are fabricated using best grade raw materials and advanced technology, which ensures less time and power consumption while functioning. Our offered ranges of these exchanges are appreciated for superior quality and high performance. Clients can avail these from us at reasonable prices.